It is immensely surprising that so few people make use of spare keys in their daily lives. This encompasses homeowners, car owners and commercial business owners (pretty much anyone who has something to lock away). With a spare key handy, people can prevent being stuck in precarious situations. Many people never consider the need for a spare key because they have not been placed in a situation that dictates the need for one. However, it is important to realize that just because something has never happened does not mean that it will not happen, eventually. 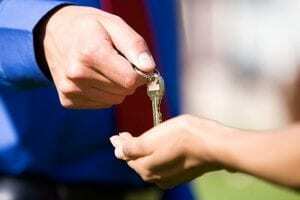 Let’s take a look at some of the reasons why it is important to always have a spare key. Accidental lockouts are not mythical occurrences that only happen to a few hand picked people. Lockouts can happen to anyone, and for this reason, it is best to be prepared for an accidental lockout before one even occurs. Think of it as having a home security plan in place even if no one has broken into your home before. It always helps to be prepared so that you do not end up wasting time and money trying to find a solution after the worst has already occurred. There are many people that have been in the midst of a lockout before, and they know just how frustrating it is to be locked out of your home, your car, or your office. All it takes is a split second of absent-mindedness to leave you stranded in a lockout for upwards of an hour. However, this can all be prevented if people see just how important it is to have a spare key. With the existence of a spare key, you will save valuable time instead of spending it seething in frustration while you call a locksmith and wait for them to help you get back into your home car or office. Any reputable locksmith can help you fashion a spare key for your car, office or home. One of the main causes of lockouts is broken keys. Keys are not invincible to time or to the strain that owners put on them day in and day out. Keys are easily broken when they have been in use for a long time. However, it is key to realize that these breaks do not just magically happen. There are signs people should pay attention to that will indicate that a key is wearing down. If the locks that you use in conjunction with your key are not behaving the way they are intended, then you might be in for a key break. In some cases, you will be able to tell that your key is in danger of breaking just by paying close attention to it. Many keys will have minor cracks along the shaft of the key, and this is a sign that your key is in danger of breaking. The presence of a spare key reduces the chances of damaging an original key. This is because one key will not be exposed to the extreme amounts of pressure that come with extended use. A spare key allows owners to switch between multiple keys. This allows them to make use of a spare key if their original key is showing signs of wear. There are several things that will lead people to need a key replacement. It could be that you lost your keys, the key got stolen, or the key got broken. Whatever the case may be, in this scenario, your next move will be to acquire the help of a local locksmith that can help you fashion a new key. The process of cutting a new key can be a breeze if the locksmith has a copy of the original key. With the copy handy, the cutting process should be done within minutes. Oh wait, you don’t have your key, do you? Having a spare key handy greatly decreases the amount of time that a locksmith will need to fashion a new key for you. 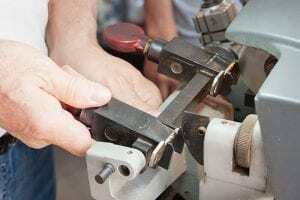 If the key is not available, the locksmith will either have to disassemble your lock or they will have to resort to other measures to try and obtain the key code necessary to cutting your new key. In the instance that you are already in possession of a spare key, the key cutting process takes only minutes, and it will cost owners only a fraction of what it would have been without a spare key available. There is an old saying that goes, “too many cooks spoil the broth”. The same concept applies to having too many people using one key. For instance, if a homeowner only has one set of keys, and has multiple people living under their roof, it makes it hard for everyone to depend on one person to always be there to lock and unlock doors. It also increases the chances of keys getting lost because there are so many people who are using one key. With the presence of a spare key, every individual is responsible for their own key, and it allows for much more convenient access to places. If homeowners and commercial business owners are concerned about limiting access, they can look into employing master key systems. Any professional locksmith should be able to answer whatever questions you might have about this. In the long run, having a spare key can save you lots of money as a homeowner, car owner, or a business owner. In the instance that you already have a spare key made (or several spare keys), you can avoid the fees that will be incurred with having to call a locksmith, having to miss an important meeting, or having to keep your business closed for a few hours because no one can gain access. There are many more downsides to not having a spare key than there are to having one. If you happen to lose your keys, or they break or they are simply out of the picture somehow, you will most likely be making use of a locksmiths services. In most cases you will need a door unlocking or a key extracting when this happens cost will be higher than that of purchasing a spare key. ● Do not advertise that you have spare keys available unless it is to the people who will also be using said spare key. ● Make sure that you keep a list of all the spare keys you have made and know who has access to each of these spare keys. This makes it easier to track down in case anything goes wrong or if you want to get rid of a spare key. Making use of a spare key is one of the best ways to minimize wasting time and money. Spare keys provide their owners with an overall peace of mind, added convenience, and the realization that they will not be stuck in a lockout for long if they ever find themselves in one. There are many people who will not see the use of having a spare key until it is too late, but hopefully, the above reasons will spare you from that sad fate.